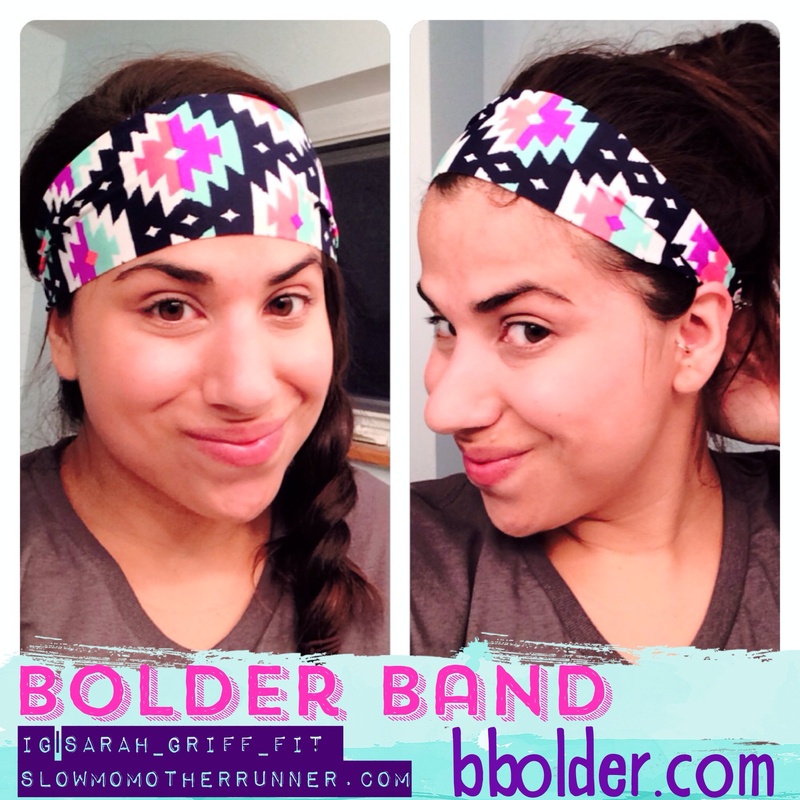 I was recently given the opportunity to review the awesome headbands from Bolder Band (bbolder.com). When it came to choosing a pattern to review and giveaway the decision was tough, but I went with the Tribal pattern for myself and the Blue Sorbet for the giveaway (see below for details). 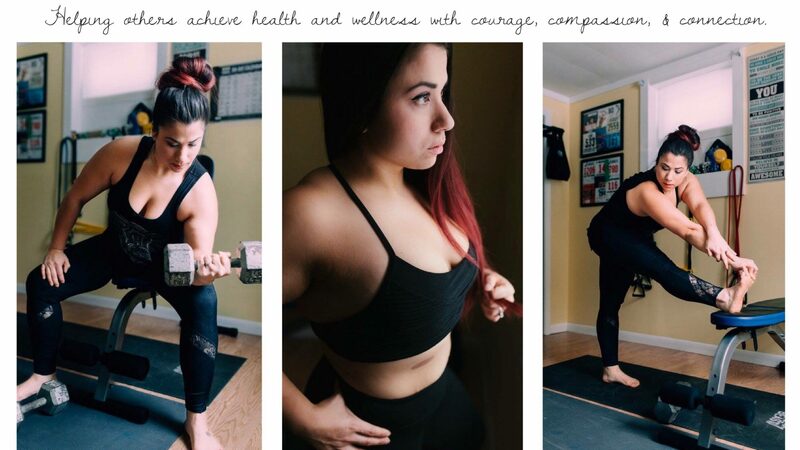 Not only is it great for wicking away sweat, but it’s definitely a great option for those bad hair days or when you’re at home lounging around the house. Hell, it’s a great, “Oh crap, I just rolled out of bed and need to look fancy in 5 minutes”, kinda band. Okay, let’s get to the real question. Does it stay put? First off let me premise by saying I don’t know if it’s my head or my slick hair, but the headband slippage struggle is a real issue for me. I have yet to find the perfect band that doesn’t require at least a teeny bit of adjusting during a workout. After reading up on the rave reviews for this band I was stoked! It promised to cover all the bases. 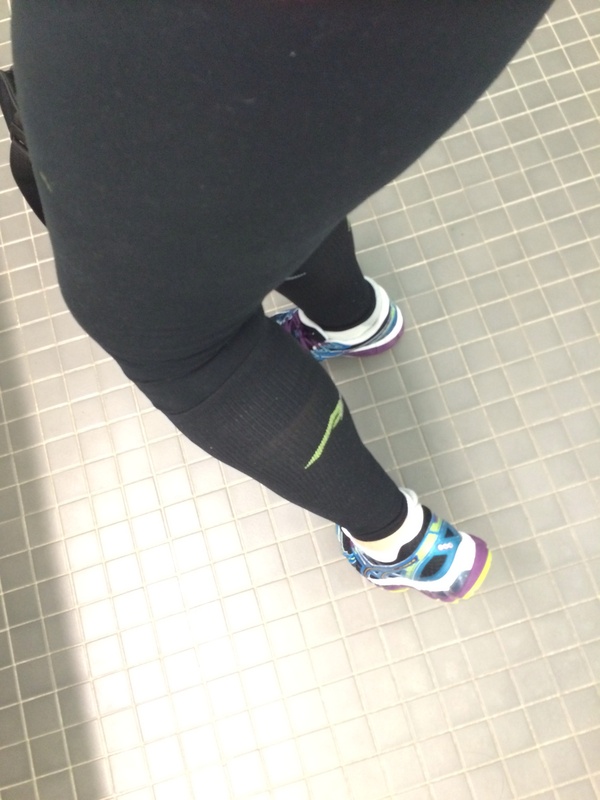 Cute, fashionable, sweat wicking, and sticking abilities all in one. 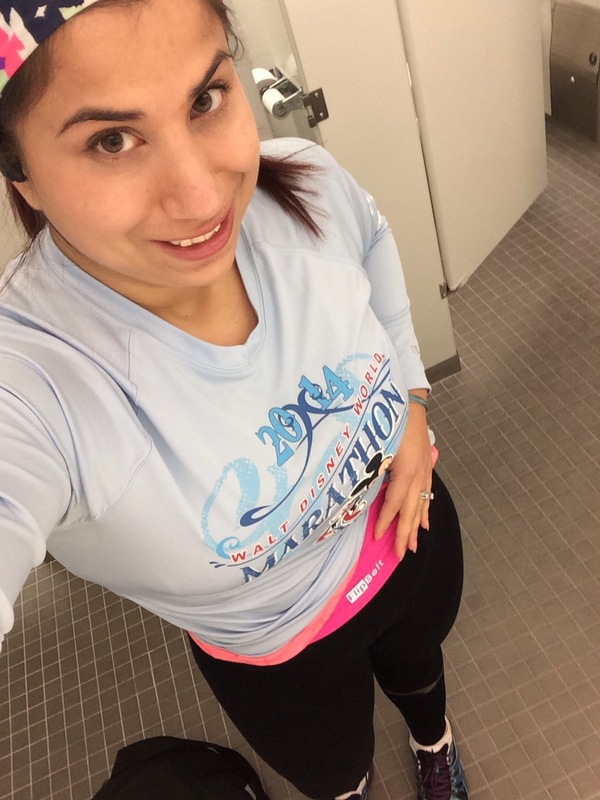 I gave the band its trial run at one of my softball games, but I made the mistake of not reading up on how to properly place the headband so I did experience some light slippage. These bands are meant to stay put when worn a specific way. “IF you wear them correctly (low on your forehead – more like a sweat band less like a plastic headband) AND you have the correct size, watch this video: http://www.youtube.com/watch?v=Z7uFWP1_C3g ” the headband should not slip. Guess who’s headband stayed put like a champ during her next trial run? Yup, that would be me! 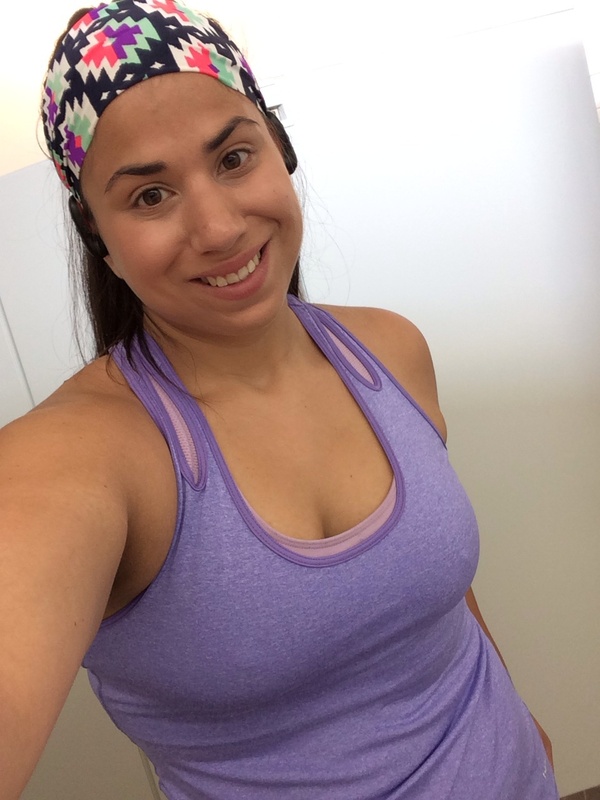 I really love these bands because they are lightweight and they do their job of taming crazy frizzies all while wicking away that sparkly sweat from your brow. Another huge plus to this band is that it’s not so tight that it gives me a headache. I def recommend these to people who are looking for a stylish way to keep their hair out of there face and sweat out of their eyes. All in all I can see myself getting plenty of use out of this pretty band! Now, let’s talk about how you can get your hands on one for FREE! I’m hosting a giveaway over on my IG page (@sarah_griff_fit) so you can get your chance to win the Blue Sorbet pattern for yourself! In order to qualify for the giveaway your page must be public (so I can see you share the post) and you must follow me @sarah_griff_fit on IG. Keep an eye out! The giveaway post will be going live shortly!